Winter can be tough for good habits. Gym attendance goes down as people fall off the wagon during the holiday season. Christmas is built around food and togetherness, while the dark nights mean that motivating yourself to hit the gym for a winter workout is a harder task than it was during the long summer days. With so many people giving up and accepting that they’ll pick up again during the New Year Resolution boom, how do you stay motivated? How can you squeeze out the very most results from your training during the winter months and stick with the process? You already know why winter is a challenging time for fitness – especially if you’re starting to miss a session here or there. It’s cold, dark, and hot home-cooked food seems more appealing every day. The reality is that it’s easy to get to the gym when everything’s perfect, but during winter time when you’re leaving work in the dark and have to get to the gym, you might feel the tug to just go home, get in bed and leave the winter workout till tomorrow. The second challenge is tied to this: you’re in the dark more often and you’re going to be feeling some psychological effects of the dark winter days. This is seasonal affective disorder and its tied to being in the dark or having reduced sun exposure – it affects most of us to some extent. Finally, you’re going to be facing down one of the biggest feast-focussed events in the English-speaking world in Christmas. Turkey is a lean protein, but pigs in blankets are not. This is simple – you can make some changes to your diet and lifestyle that help you get the most out of winter. The first is to get plenty of vitamin D in supplement form. You’re going to be lacking sunlight during the winter months, meaning vitamin D deficiency is a big risk. You can keep your hormonal and psychological health a little more stable with this supplement, as well as normalising your energy levels. Key to staying motivated to train after a long day. You should also be getting a high-nutrient diet to keep all your other vitamins stable during this trying time. Set yourself up for victory with high-quality plant and fish foods. Second is to get into a better sleep schedule. Stay up late watching Netflix? Why not just get up earlier and watch the exact same thing with a coffee while you take a leisurely prep for work? Winter is a time when sleep demands are higher and getting your 8-10 hours is even more crucial. This means cutting out all those bright screens after a certain time and getting to bed for a high-quality sleep in a dark, cool room. Sleep boosts muscle recovery and growth, as well as being key to energy levels and mental health. If you’re feeling drained from a fat-burning diet, it might be time to take a break or reverse the gears. Cutting for long periods of time can be taxing, while a month of maintenance or recomp-dieting can be a great choice. You need more calories during winter to begin with, and the “winter bulk” might be a bad idea if you’re worried about fat, but it’s a great time to focus on gaining high-quality muscle mass. This means a mild, “lean” massing phase might be perfect. You get to focus on absolute strength, increasing your workout volume, and fixing up those weak muscles/movements. With hoody season coming on strong, you can focus on the silhouette muscles (arm/traps/delts) and the crucial postural muscles like rear delts, hamstrings, core, and the upper back. It also means you can partake in the holidays eating without any sense of guilt or exclusion – making your holiday season feel normal and enjoyable! A healthy lifestyle is all about habit and routine. Winter workouts can test your commitment but it’s a great time to shift your focus. The best way to handle a problem isn’t always to run through it: accommodating the increased eating and climate of winter can be key to making it one big positive result. You can use this time of heavy clothing to get strong, fix holes in your game, and reverse diet your way back to metabolic health. Remember to keep yourself moderated, find a sustainable diet, and embrace the positives of this process. Training and dieting are positive ways of taking control over your body and improving your results, not torturing yourself. Winter is a tough time, but these 3 key tips will help you win all winter long. Do you want to get in shape for the Christmas season? Belly fat burning exercises: Myth or Reality? Would you like to learn how to burn belly fat for just £24? Are you confused as how to lose that stubborn fat around your waist? Frustrated at the lack of progress given the effort you put in? Have you read conflicting information about the best belly fat burning exercises and diet to lose belly fat: HIIT? Increased cardio? Low carb? Low calorie? 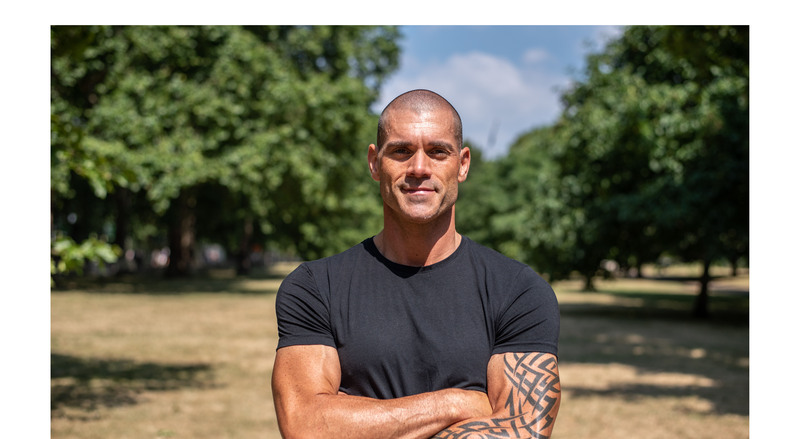 It’s a confusing web of information out there, I totally understand how frustrating it must be to not have clear and accurate information for an issue such as belly fat burning exercises, so hopefully this blog I’ve written will clarify things for you. Targeted belly fat burning exercises: Myth or Reality? Can you burn fat from your belly alone? There is no scientifically proven way to burn fat in particular areas of the body, no amount of sit-ups or abdominal workouts will help lose the fat in this area alone to reveal your abs underneath. I’m afraid in all honesty there is no such thing as belly fat burning exercises. When fat cells are broken down to be used for energy they will be taken from anywhere in the body during exercise. There is no biological way to ensure that only fat cells from the belly area are utilised. In recent years a study was conducted to investigate the effect of abdominal exercises on abdominal fat, the study took 24 participants who each partook in regular abdominal exercises whilst maintaining a healthy balanced diet. After 6 weeks there was no significant effect of abdominal exercises reducing fat in the belly area, or overall body fat percentage. The products you see on shopping channels which claim to be the best belly fat burning exercises, i’m afraid to say are a complete waste of your time and money. So how do you reveal those abs? Firstly it’s important to have a basic understanding of how your body burns fat. In it’s simplest form; fat loss is determined by the amount of calories you consume vs the amount of calories you burn. If you consume less calories than you burn it will result in fat loss. What about low carb diets for fat loss? We all know that food is fuel for our body. And like cars using either petrol or diesel, our body can utilise different fuels being either carbs or fat. It’s true if you consume a low carb diet your body will turn to fat as it’s energy source. However! This isn’t a good long term sustainable system for fat loss and can have detrimental effects on your health as the body ‘needs’ both carbs and fat in the body for optimal health. A good fat loss program will ensure you are consuming the correct amounts of carbs, fats and proteins keeping the body in a metabolically flexible state meaning the body will have the ability to switch from one fuel source to the next; from fats to carbs and carbs to fat. When executed correctly, you’ll have the ability to lose fat on either a high carb or low carb diet depending on how many calories you consume. So now we know how fat is burned, how do we lose it from the belly area? The only way you will be able to lose belly fat is to participate in a quality full body training and nutrition program, designed specifically to burn fat in a sustainable way, which will see you lose fat from ‘all’ areas of your body including the belly area, so not so much belly fat burning exercises, but ‘all over’ fat burning exercise. By doing a plan such as the ART 12 week body transformation program we’ll take you through a series of nutritional phases designed to keep the body in a metabolically flexible state, coupled with a predominately strength training regime with limited cardio, you’ll be burning fat while building lean muscle mass, which over time will lead to a visible reduction of fat in the belly area revealing your already existing ab muscles underneath. 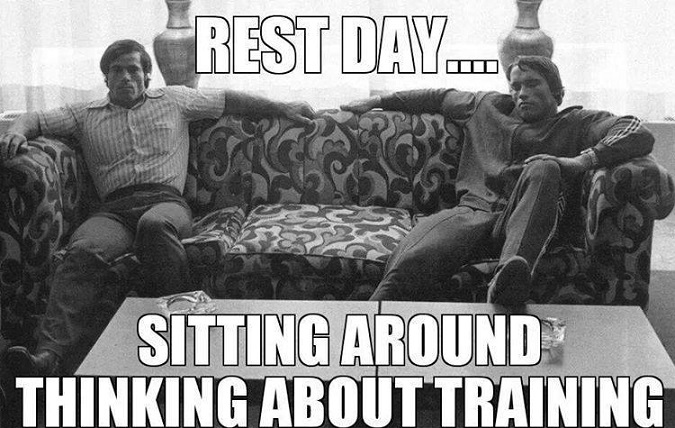 It’s REALLY hard to train twice a day! And are the results even worth it and isn’t it very bad for your body? Well, firstly, you can dramatically increase muscle size with an Arnold Schwarzenegger twice a day workout regime..
…and secondly, it CAN be bad for your body but with some careful consideration (and the right amount of rest) it can produce incredible results. If you don’t like going to the gym or if your job restrains you from accessing the gym twice a day, or you’re full of excuses, then this mode of training isn’t for you. The twice a day training principle was popularised by big Arnie. He firmly believed his “double-split system” allowed him to separate himself from the pack and win his first Mr. Universe title. I was introduced to the practice through Nick Mitchell via Canadian strength coach Charles Poliquin. Poliquin suggested that muscle gain would be greater if we could train twice a day on a consistent basis. Obviously this isn’t for us all, and it isn’t something that can be done for long periods. For me, the aim of using this style is to build as much size possible, in a small period of time. I will use it when I feel that my muscle development has plateaued, or when I’m highly motivated, like when I have a shoot coming up. First, they have the perseverance it takes to get to the twice a day, every day, rain or shine. Second, they have the discipline to rest when the have to and (and they do HAVE to rest). These two things will ensure that you don’t burn out while taking on what is a big challenge! You need to limit the practice to no more than two weeks in a row, with a one week de-load / active recovery week before you repeat for no more than 3 cycle. The timings of your workouts don’t need to be exact, but I would allow at least 5-6 hours between the two sessions. For me this is easy since I work within a gym, but due to other work commitments, most find it a struggle. Your best options are to get a workout done in the morning before work and then hit another workout after work, alternatively go on your lunch break and then again in the evening. As long as you’ve waited roughly 6 hours as a typical guide, your levels of intensity required for each session shouldn’t diminish. You must train the same muscle groups in both sessions and limit these sessions to no longer than 45 minutes of intense strenuous lifting. Quality not quantity! Get on top of your nutrition! You need to design a set macro ratio specific to you and make sure you hit it, including your 2 post workout meals. Monitor your gains and listen to your body, as things may need to be tweaked to cope with the extra demands you are now under. *It’s hard to go any further into the nutrition side right now, as you are all individuals and for me to recommend macros etc. may not be specific to you. I wouldn’t recommend this type of training if you were intermitting fasting. Train heavy in the morning, focusing more on strength using compound movements, high intensity / low volume. This will serve to kick-start the nervous system. Avoid training to failure and generally use a controlled tempo of 31X1 with longer rest periods. In the evening a typical hypertrophy based workout is applied, lower intensity / higher volume. Here you will use more typical bodybuilding isolation based exercises with a slower more controlled tempo such as 2121, contracting hard throughout the movement. Take less rest between sets and unlike earlier you will train to failure, hit it and hit it hard. Generally I would always recommend a ‘2 days on – 1 day off – 1 day on – 1 day off’ principle, or just ‘2 days on – 1 day off’ etc. it all depends on your split. You may get away with 3 on – 1 off, but if you’re truly performing with maximum intensity on the first 2 days, you will be screaming to take that third day off. When it comes to body part grouping this is entirely up to you and what suits your needs best. Typically my personal split looks like this. Day 5 – Off, or back to chest, shoulders & triceps, if 2 on – 1 off cycle. After 2 weeks of these double sessions, or the equivalent of 4 doubles per split, you are ready to de-load for a week (also known as active recovery). A de-load is a planned reduction in volume, or intensity, where the purpose is to allow the body to fully recover, and prepare you for the second cycle. De-loading allows your joints, tendons, ligaments, and other supporting tissues to repair. Your central nervous system (CNS) has been highly stressed, so this will have time to recover, as well as giving yourself a mental break from the intensity of hitting the gym twice a day. The main thing here is work at 50% of what you have normally been doing. Drop to single day sessions and apply what was your second pm session as the basis to your workout. You keep your split and work 3 days on – 1 day off – 3 days on – 1 day off, and boom, you’re ready to get back onto doubles. You should feel re-energized and raring to go, if not… perhaps you didn’t back off enough. I know backing off is hard and I have been victim to feeling this myself, but trust me, less is more in this case. Take the foot off the pedal and learn to appreciate the knowledge of others when they say ease off buddy. So there you have it, the basic in’s and out’s of Twice a Day training. Maybe you have used it before, maybe you haven’t, it’s certainly not for the casual gym goer. You must be focused, truly dedicated, and highly motivated to do this type of training. However, if you are committed to the cause, and you have the flexibility to do so then I strongly recommended you give it a go.